There are some exciting developments happening at AFC Littlehampton. The club, with the support of young and ambitious chairman Ciaran Helly, are to launch a ladies’ team from next season. Sponsorship has been finalised for kit and tracksuits, with AFC Littlehampton ladies to play all home matches at The Sportsfield. Helly has built a strong committee including now vice-chairman Tim Eade, who has a wealth of knowledge in football across the area. 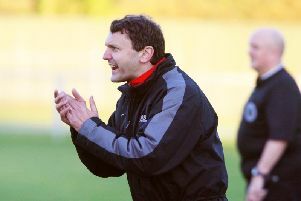 Andy Burling, who has been in ladies’ football for 15 seasons, has been named AFC Littlehampton women’s manager. AFC Littlehampton men and ladies will be holding regular open training sessions throughout summer. The first session took place last night at The Littlehampton Academy.